What do we want? Justice for animals. When do we want it? Now. A great march on parliament today - thanks HUHA. We were addressed by The Greens, Act and Labour. 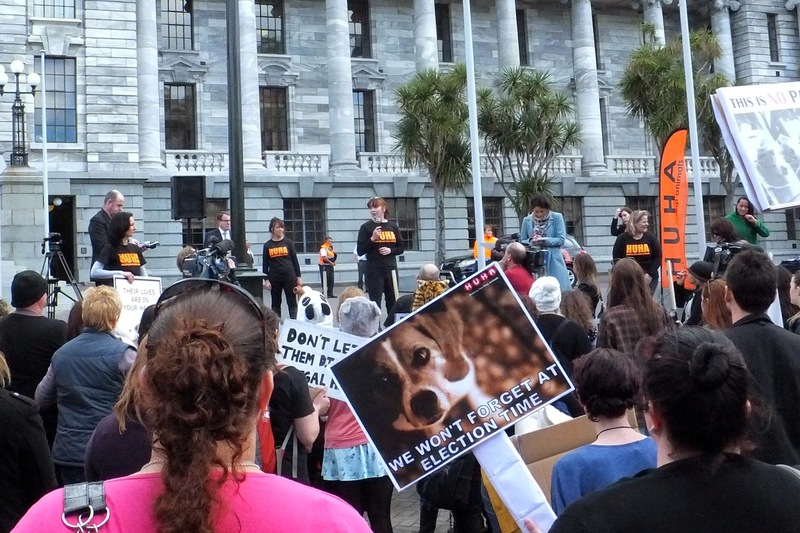 National didn’t bother to turn up (although it was suggested the dogs may be unleashed!). Why do National refuse to listen to the voice of the people? It’s become a typical Shon-Key response! UPDATE: great news the government actually listened to the people (like they're supposed to do right?) and banned the use of animals for testing party pills. This is great but I question why it was ever 'allowed' in the first place!